It has been a week since I got back from Israel. I’m mostly recovered from exhaustion and jetlag, so I want to take this chance to share some final thoughts. But first, I want to share this awesome video that our American trip leader Shane threw together. 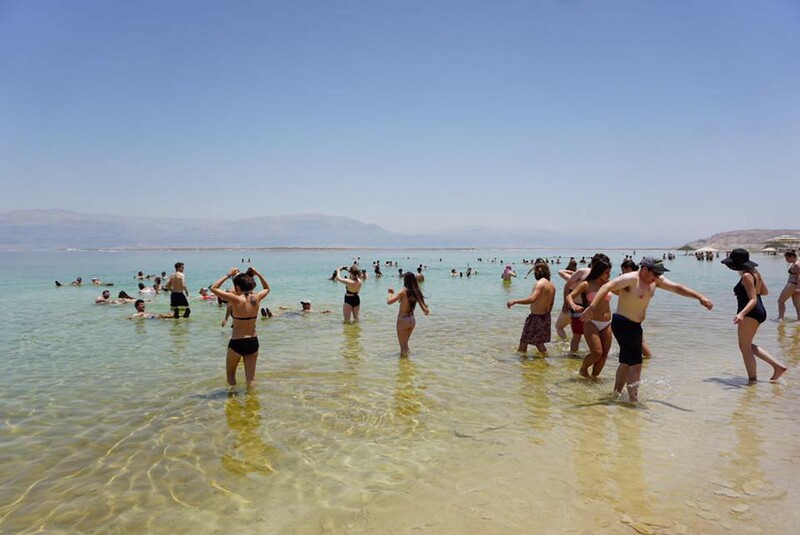 It is a compilation of short clips that illustrate life on a Birthright trip. On our final night of the trip, we came together to reflect on our experiences. We did an activity where we each shared five meaningful aspects of the trip using our five fingers to represent different ideas. 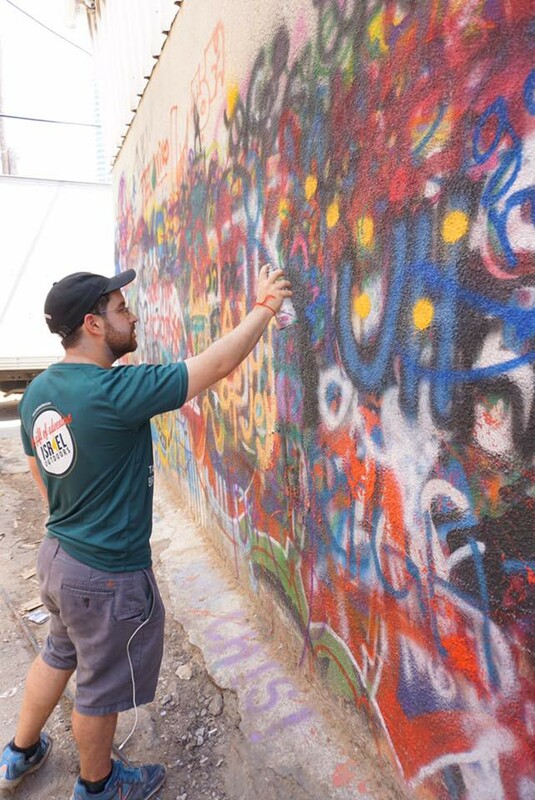 This activity was a great way for me to begin to structure my thoughts surrounding my Birthright experience, so I would like to share with you more or less what I shared with the group on our final night in Israel. One of my favorite memories of the trip was singing in the cave in Tzfat. It was the first place in Israel that I felt an overwhelming sense of spirituality. It was also the first place that our group came together as a community. 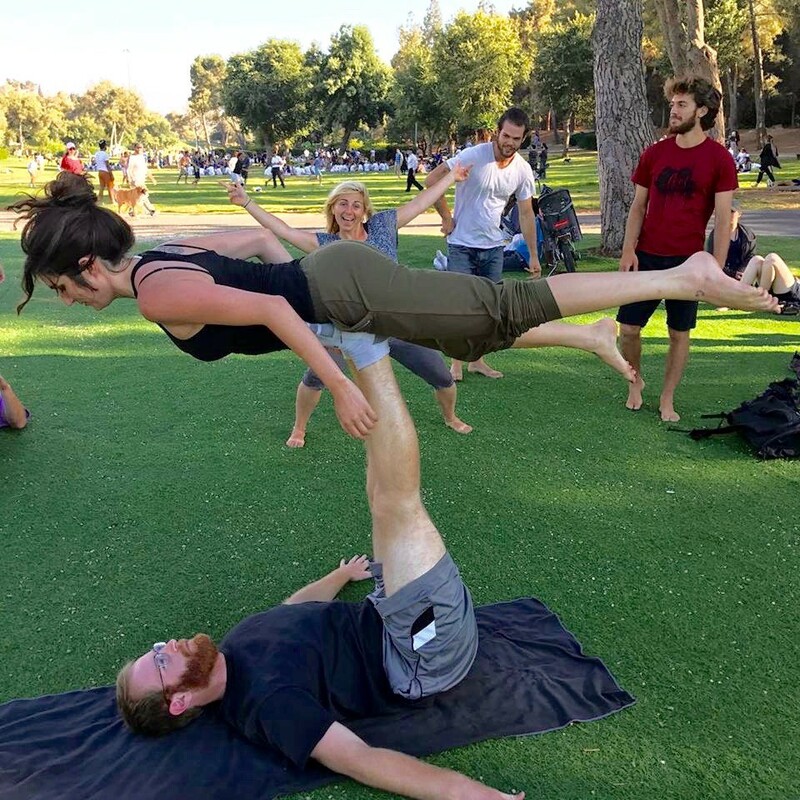 We began as 40 strangers, but after sharing beautiful and unique experiences we quickly became close friends. 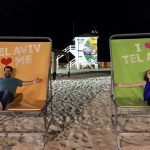 Though much of our trip was loads of fun (think river rafting, water caves, graffiti tours, and food markets), Israel is quite the opposite of a carefree country. Through our visit to the Yad Vashem Holocaust museum, horrific historical events became tangible reality. We began our tour with exhibits that demonstrated the stark reality of how a fascist and evil regime rose to power. We concluded with beautiful memorials commemorating the millions of victims. 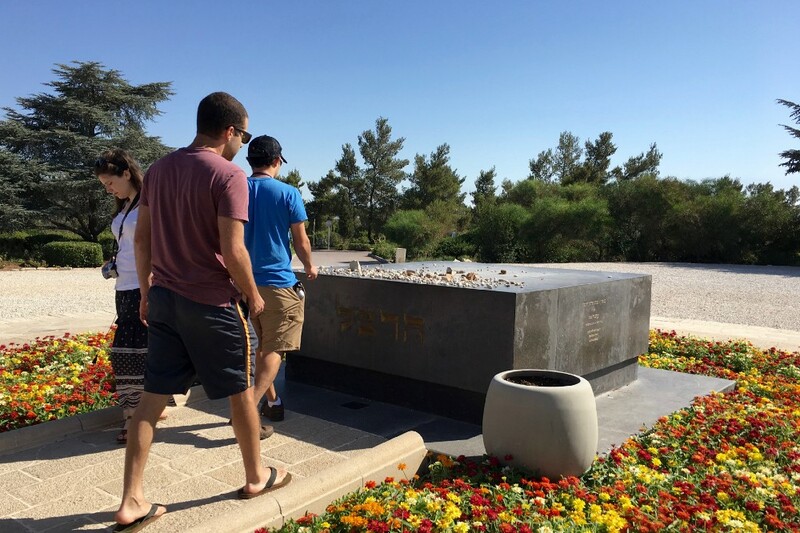 Twenty-four hours later, we visited the Mount Herzl national cemetery, which is named after Zionist leader Theodor Herzl. 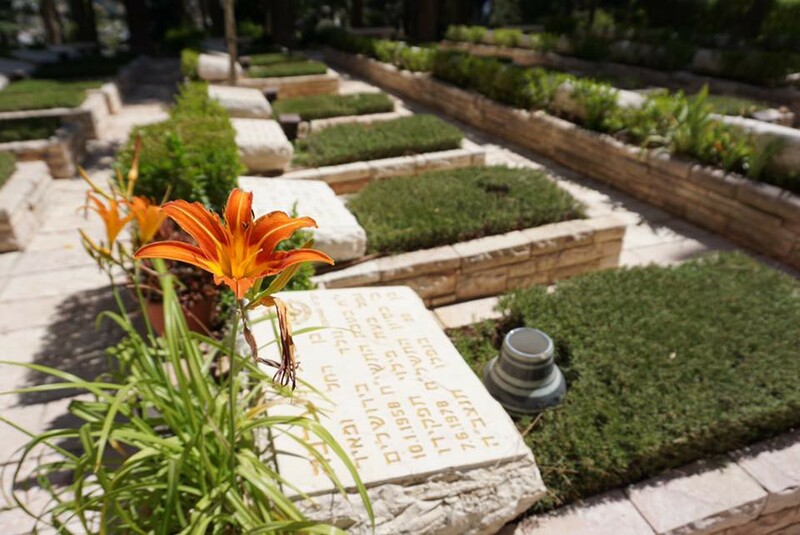 The cemetery houses the graves of Israeli soldiers who died while serving in the army. While there, our Israeli peers shared stories that illustrated the difficulties of living in a country that is constantly at war. They described summer vacations spent in bomb shelters and grieved for close friends who died while serving their country. Growing up in the US, I have never felt a direct threat to my religion. 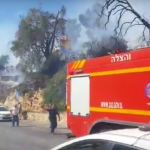 After hearing stories and speaking with Israelis throughout the trip, I realized that, for most Israelis, Judaism is directly tied to the physical land of Israel, and the land of Israel is constantly under attack. On a lighter note, something that many people in our group struggled with was the severe lack of sleep during our 10 day trip. 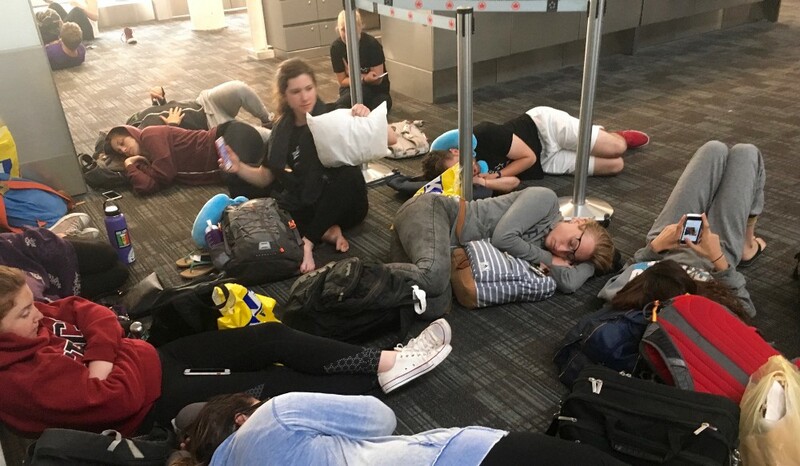 Perhaps Birthright does this on purpose to facilitate group bonding through our shared experience of delirious exhaustion. Or perhaps they just try to pack in as much as possible. No time for sleep — there’s too much shpazaming to do! The great thing about the East Bay trip (besides the fact that everyone on the trip was hella chill) is that we all live close together. Sixteen hours after landing at SFO, we had a reunion potluck Shabbat dinner. We are starting a Jewish book and brunch club. We have plans to go on road trips, hikes, and to celebrate Jewish holidays together. I’m walking away from my Birthright trip with 10 days of great memories and 40 new friends. Our tour guide, Elinoy, was pretty funny. She said the best words. You already know about shpazam. Add ooshy booshy and lalali lalala. We even made t-shirts in her honor. 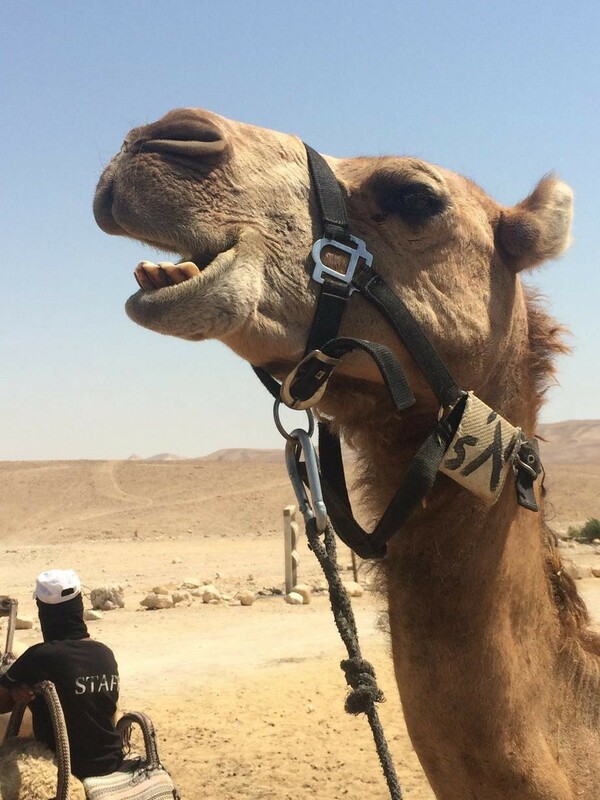 As it turns out, camels are funny. The trip wasn’t perfect. No trip ever is. But we laughed together and cried together and sang together and shared pieces of our lives, and we came back more connected to Judaism, to ourselves, and to each other. 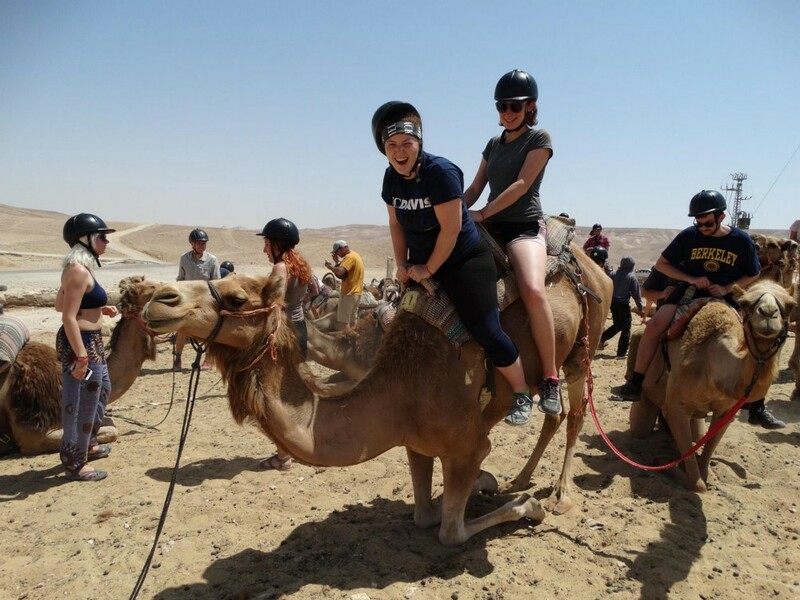 Sarah Plovnick was a participant on the East Bay Community’s Birthright Israel trip. 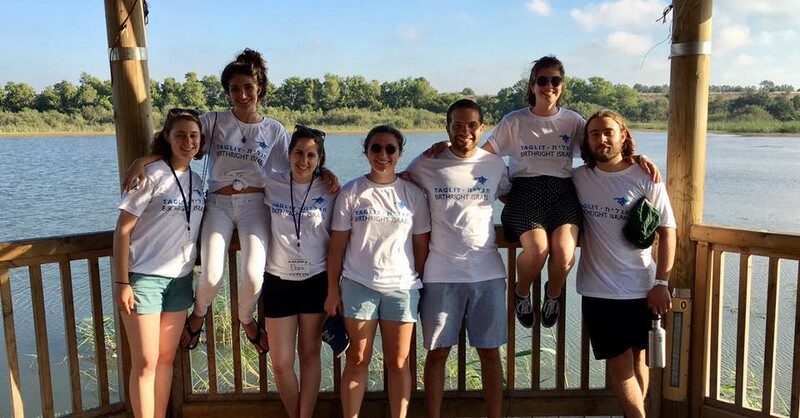 She has shared photos of what she has experienced, Hebrew words she’s learned, and glimpses of what life was like on a Birthright bus for ten days. And now, she must catch up on her sleep. Thank you for reading!